[Gift] Happy Pawriffic Birthday, Bandy! A gift for my fellow canid brother. 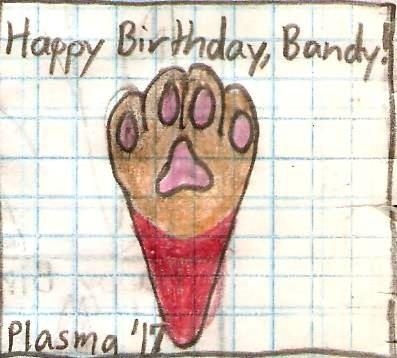 It's a pic of Bandit's paw for his birthday!